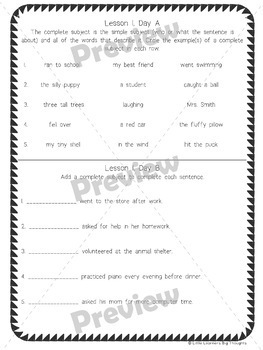 This product contains six lessons: complete subject, simple subject, compound subject, complete predicate, simple predicate, and compound predicate. 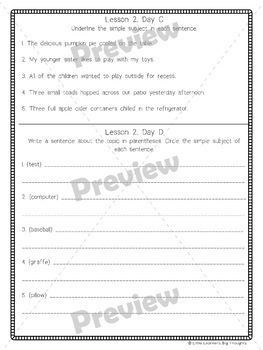 There are four days (A, B, C, D) for each lesson. 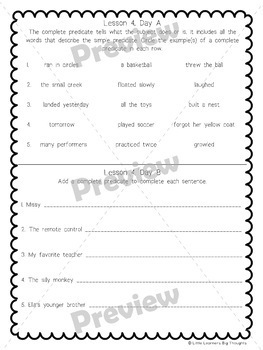 The format of each day’s activity repeats for each lesson. I’ve included a cover sheet in case you would like to make them into a packet. 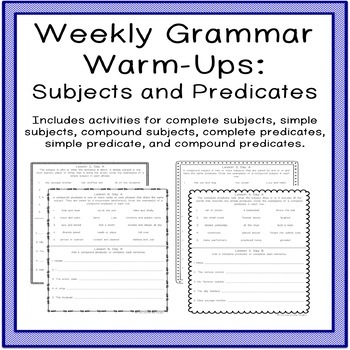 These are a great warm up or can be used as a review for subjects and predicates. Please leave feedback and earn TPT credits towards future purchases! Follow my store to get notified when new products are available.